December 9 marks the worldwide celebration of Shakespeare. 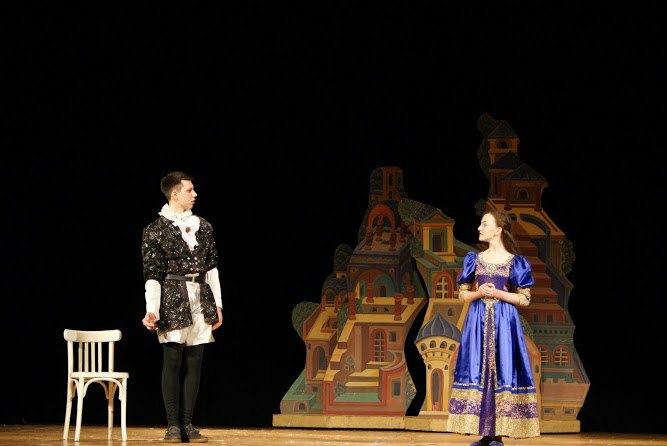 In recognition of the celebration, FLEX alumni Andriy Lunin ‘16, Yuliya Ishutkina ‘15, Yelyzaveta Mateshuk ‘16, and Artem Tsekov ’16 put on a performance of the extensively popular Shakespeare comedy The Merchant of Venice at the National Youth Theatre in Zaporizhzhia. Andriy Lunin was the originator of this event; organizing it as part of the Drama Club that he created after his participation in the FLEX program. 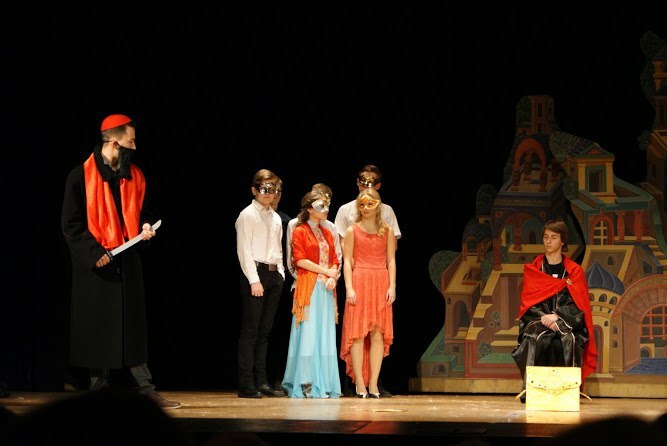 Andriy promoted an idea of putting a Shakespearean play on the stage of his school. The positive response of the student body was such that the alumnus needed to find additional organizers and a larger stage! More than 90 students came out for auditions and Andriy reached out to the FLEX alumni community for help. 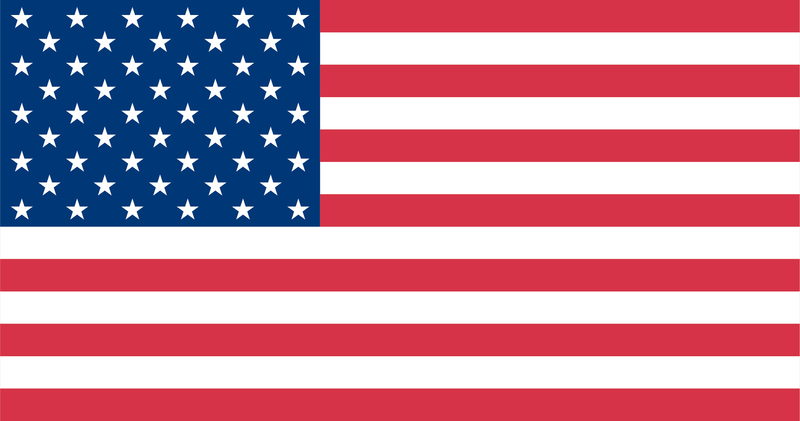 All the first-time actors were students form Zaporizhzhia Hymnazia 31. 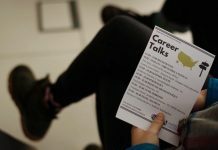 “Never having taken any professional drama courses, the students were remarkably believable and likeable,” noted an audience member at the performance. 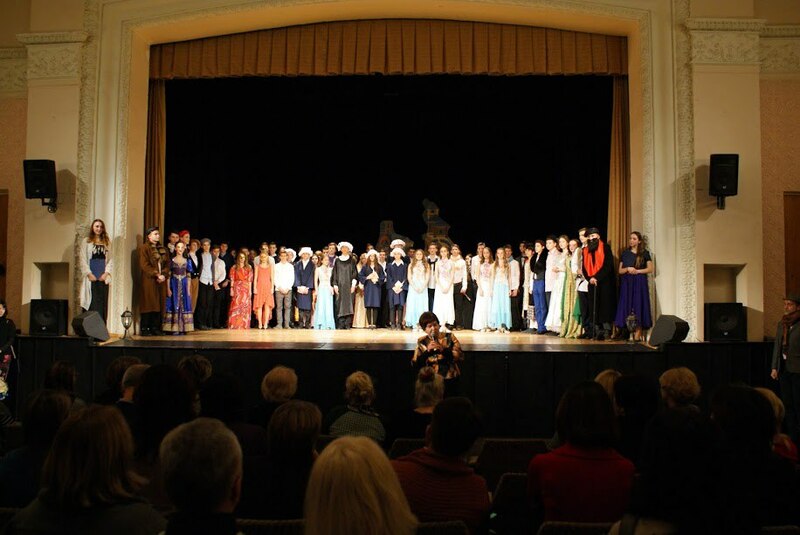 Many of the audience members mentioned that the vivid atmosphere of Late Renaissance Venice, beautiful dances, brilliant songs, and magnificent costumes, impressed them a lot. Pulling the performance together was quite a challenging task. 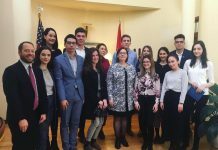 Alumni and the students prepared for over two months. 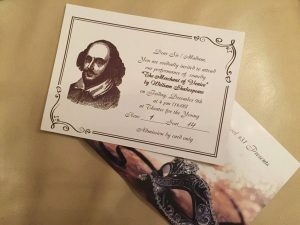 The students determined to develop their language and acting skills at the same time, and set the play in native Shakespeare’s language – English. The student volunteers also learned other skills, such as creating costumes and sets and seeking out community support for the event. At the end of the day, local boutiques and the National Youth Theatre agreed to offer the students some free of cost costumes and the venue for the performance and rehearsals. The play exceeded everyone’s expectations. 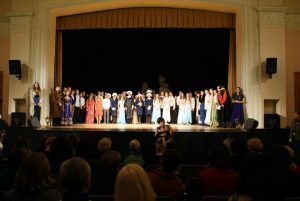 More than two hundred community members and students attended the performance and purchased tickets – fund raising over $130. Part of the funds will be used for future activities with the student drama club while the rest of the proceeds will be donated to a regional hospital for children with pneumonia. 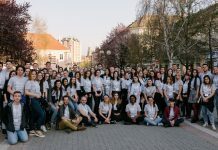 For the alumni community, it was wonderful to see how young people stepped up to the challenge of putting on the performance and how the FLEX alumni community united to inspire and coach the future actors of Ukraine.